Selinger began her writing career at age seven, self-publishing a weekly newspaper highlighting her family’s activities. When her first non-fiction book featured pirates (The Complete Idiot’s Guide to Pirates), she was asked why and how she became interested in pirates, and the answer was easy: it was all the fault of her older sister, Carol Sue. Selinger had naturally adopted her sister’s interests, which included watching pirate movies. Around age nine, she realized that pirates were in fact real people. Her fascination with that fact led to a lifelong interest. Growing up two blocks from the Atlantic Ocean and watching sailboats and commercial ships go by fueled her imagination. Riding the Staten Island ferry, the sisters always made believe it was their own pirate ship. 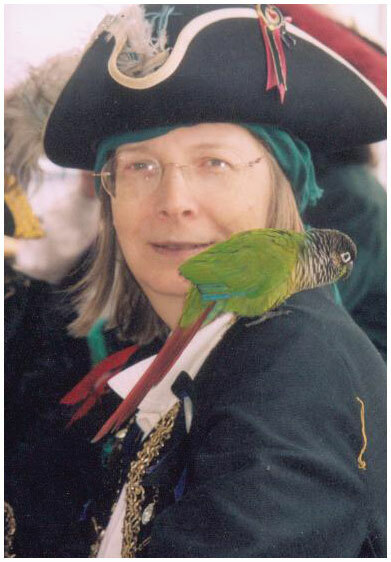 After earning her bachelor’s degree in art education and history, she traveled along the east coast of the United States, as well as Great Britain and several Caribbean islands, researching pirate history. 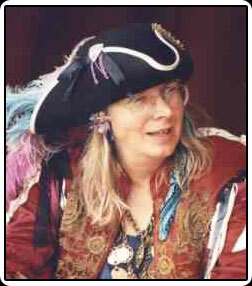 Her accumulated knowledge made Selinger a pirate historian, or as some have labeled her, a “piratologist”. She was thrilled when asked to write a book (Idiot’s Guide) on her favorite subject. Even so, Selinger writes about much more than pirates. She has produced numerous novels, short stories and articles on a range of subjects, in a variety of genres. With her interest in art and the science fiction Selinger opened Dream Masters the first science fiction and fantasy art gallery in Los Angels, CA. Along with consulting on international television and movie projects, she has appeared on television programs, DVDs and radio. Selinger is currently a member of the privateer historical re-enactment group Port Royal Privateers, after helping to found the re-enactment group Brethren of the Coast, in 1984. 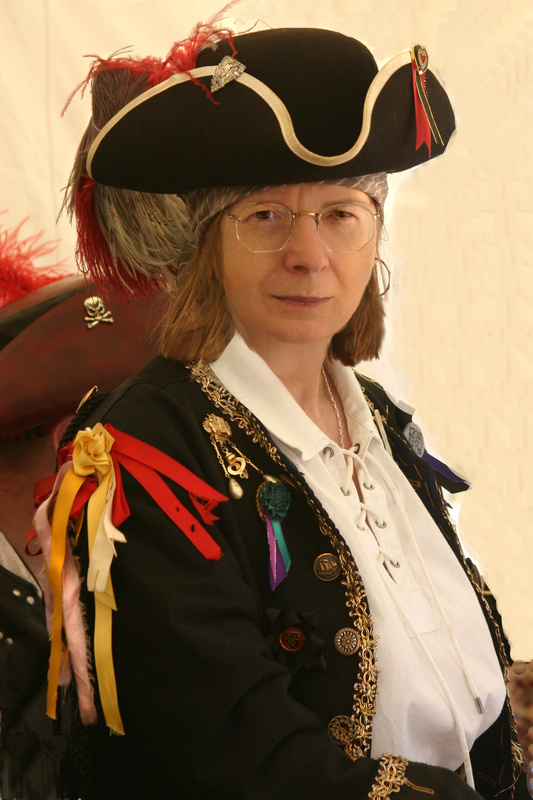 Besides demonstrating artifacts from the pirate era, she has been a gunner on various tall ships and participated in sword fighting and black powder demonstrations with her personal weaponry. Selinger is a member of The Author’s Guild, Science Fiction Writers of America (SFWA), Romance Writers of America (RWA), and a Patron Saint of the Los Angeles Science Fantasy Society.